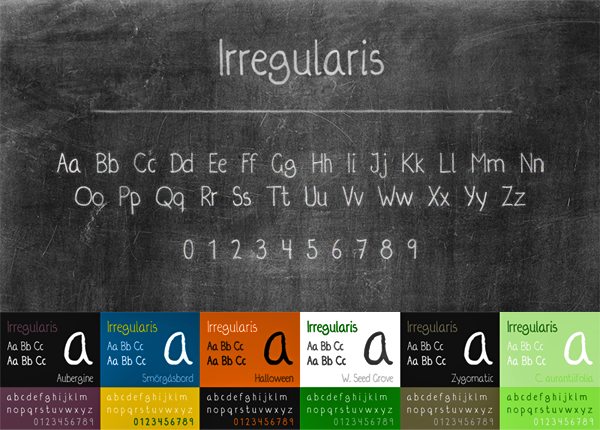 Irregularis is a handwriting-based font designed by Arman Ay. It is characterized by its casually simple, yet irregular handwritten style, and has been created for both personal and commercial use. The typeface has been acknowledged by numerous experts, including Luc Devroye, professor at the School of Computer Science of McGill University in Montreal, Canada.